This small village features upscale neighborhoods, sprawling community parks and offers its residents an exciting, active lifestyle. Welcome Beverly Hills. Beverly Hills is a small village located in the northern part of Oakland County. Once known as Westwood, this vibrant community sits west of Woodward Avenue. There are a variety of home styles and options in Beverly Hills. Many of these well-established homes feature timeless craftsmanship and are each unique in their character and appearance. Many of Beverly Hills residents are environmentally aware people who enjoy active lifestyles. This is largely part to its 34-acre outdoor Beverly Park, where you will never be at a loss of things to do. 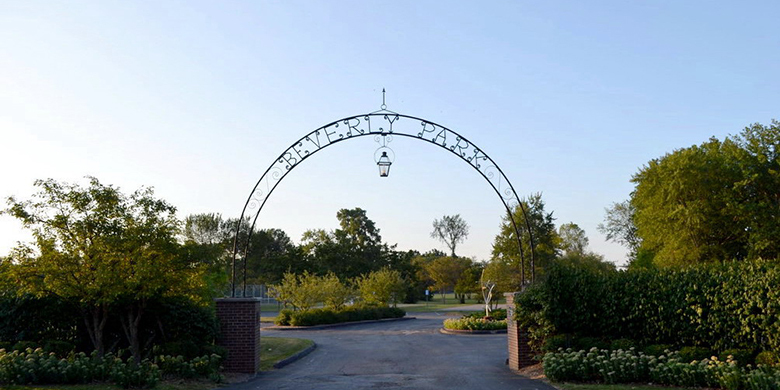 The park is located off Beverly Road and promotes year-round activities such as ice skating, sledding, volleyball, basketball, baseball, disc golf, and tennis. If sports are not your forte, enjoy hiking or biking the miles of paths and trails that wind in and out of the wooded park area. If you have young children, they will enjoy playing on the outdoor park where they can strengthen their bodies, enjoy the fresh air and socialize with others of their same age. The Rouge River contributes to the mill pond which is located in Riverside Park. Riverside Park is wonderful for outdoor gatherings and barbecues. Or, you can enjoy the mill pond for fishing or nature-watching. Beverly Hills also has two nature preserves: The Douglas Evans Nature Preserve and The Hidden Rivers Nature Preserve. Both are wonderful for studying nature and learning about local critters that maintain the ecology here. During the summer months, The Beverly Hills Athletic Club is the place to be for swimming and tennis. Whether you are a novice and simply enjoy the activity, or if your child is a competitive swimmer, the club will fit your needs. Plus, it is an ideal place to network and socialize with your community members. The Beverly Hills Athletic Club is one of the most widely heard of places in Beverly Hills. Residents of other communities are drawn to the center for the high-quality athleticism it provokes.